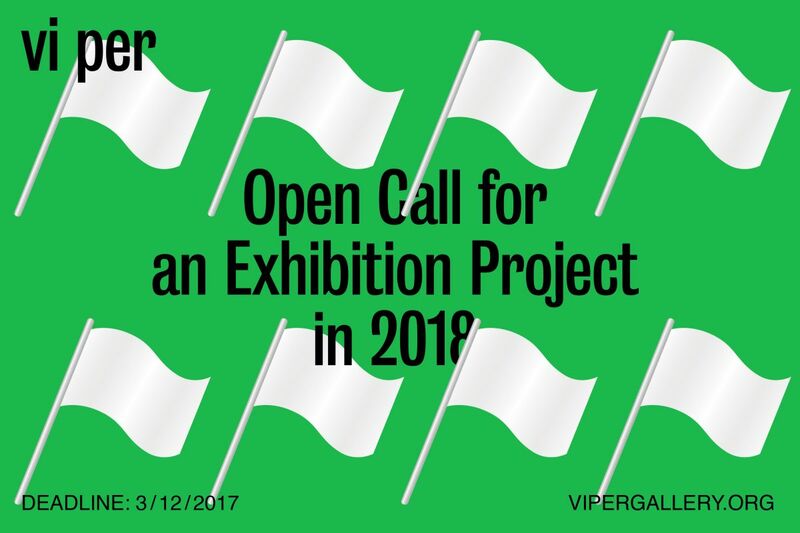 VI PER Gallery announces an international open call for an exhibition project in 2018. VI PER Gallery based in Prague, Czech Republic, is a non-profit institution which focuses on architecture in the broadest sense, together with its relations and points of intersection with contemporary art, urbanism, design and media, as well as the political, legal, social, economic, ecological and spatial contexts which help to shape architecture and the built environment. This open call is the first one that VI PER Gallery has announced. The call is opened for architects, artists or designers and researchers, curators, critics, or teams from institutions and organisations of any nationality and country of residence. The applicant should be capable of conducting research and developing an original vision and coherent curatorial narrative as well as an integrated curatorial and exhibition design proposal. Applicants should not feel limited to overt architectural themes, as the jury will consider proposals that explore a variety of design and urban-related topics. Submitted projects may fall into a wide range of genres associated with architecture, art, design and other disciplines and should reflect on the relevance of architecture to respond to contemporary issues so as to be coherent with the galleryʼs mission. There is no limitation regarding the exhibition’s topic or geographical orientation; however, it should focus on history, context and diversity of architecture, art, etc., after WWII and today. The projects may react to the context of the exhibition space by their installation. With regard to the exhibition space dimensions, we recommend to submit projects for thematic exhibitions or works by a smaller number of participants rather than a bigger group show. Proposals will be reviewed by the international jury, which is composed of architects, architectural historians and theoreticians, curators and other professionals. The exhibition curator and exhibiting artist should make their appearance within the related events programme. The gallery consists of three rooms. One is used as a bookshop, the two others, a bigger main space and a smaller side room, can be used for the exhibition project. The side room may be used for a smaller installation, a video projection, etc. The dimensions of the central space are approximately 8.8 × 5.7 × 3.3 m. For details see the attached floorplan. limited financial coverage (currently not exceeding EUR 5,000), which will cover materials, fabrications, installation, transport, honorariums / participants fee, travel costs, etc. In case of financially demanding projects, we recommend artists or curators to seek for individual grant support. a short project description (1–2 standard pages) and visualization or visual documentation (PDF, max 5 MB). The description should include title of the author and project and contact details. a short description of suggested related events programme such as discussions, lectures, workshops, etc. in “Subject” of your application, please indicate “Applicantʼs name_VI PER Gallery_Call 2018”. The jury team is made up of architects, architectural historians and theoreticians, curators and other art and design professionals. The jury will consist of: Katarina Burin (artist, lecturer at Department of Visual and Environmental Studies, Harvard University, US), Carlos Mínguez Carrasco (architect and curator, Storefront for Art and Architecture, New York, US), Monika Mitášová (architectural theoretician, Faculty of Arts, Trnava University, Trnava, Slovakia), Jana Pavlová (architectural theoretician and curator, Prague, Czech Republic), Jack Self (architect, curator, REAL foundation/Real Review, London, UK), Léa-Catherine Szacka (architectural historian, writer and lecturer at The University of Manchester, UK), and Irena Lehkoživová with Barbora Špičáková (VI PER Gallery, Prague, Czech Republic). The applications may be submitted electronically by December 3, 2017, to the email address info@vipergallery.org. The jury will select one winning project. The results will be available in January 2018. The winner will consequently closely cooperate with VI PER Gallery staff to develop further the content, format, and related programming. The exhibition will be held at VI PER Gallery at the end of 2018. There will be printed a free folding brochure for the exhibition visitors (see the example(s) below). For additional information please contact: info@vipergallery.org.